PM Narendra Modi Tackles 500 Bank Branches, Bad Days Ahead For Corrupt Bankers! 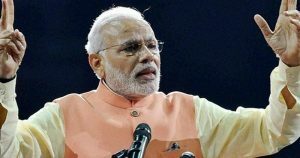 Following the frequent changes by the impact of demonetization, Prime Minister Narendra Modi played some tricky game on banks in order to tackle the money laundering that is currently the burning menace. His wits bought some astonishing output curbing the whole set of precisely 500 bank branches that were involved in alleged activities. A media channel reports that about 400 CDs of the sting operations have been sent to the Union Ministry of Finance and proper action against erring bank officials would be taken at an appropriate time. Several incidents of wrongdoings by bank officials to help black money hoarders have been reported. A number of bank officials have been arrested and several of them suspended and are facing probe. On December 10, while addressing farmers during the inauguration ceremony of the Amul unit in Deesa, Gujarat , PM had hinted about the sting operations. “Demonetisation is an important step towards making the country free of corruption. You would have seen that these days government is after them (corrupt). Bank officials are going to jail. People who ran away with big bundles of cash are going to jail. They thought, Modi Ji has banned Rs 1000, Rs 500 but they would do something from the back gate. But they didn’t know, Modi has put cameras on the back gates. All of them will be arrested, no one will be spared. The CDs of sting operations have reached the Ministry of Finance, they show how the old notes of police, pimps, and influential people were exchanged with the help of bank staff. Sources claim the light action against bank staff till now is a part of the government’s strategy. The government will launch a full war against the erring officials after the present cash crunch normalizes. It is further believed that the common people would have suffered less if banks carry out their work process without involving in illegal activities. In many CDs of the sting operation, several banks staff and managers are seen exchanging notes on multiple IDs while there were long queues of people waiting outside.